Many Americans are still optimistic about the economy in 2019 and many renters are considering home-ownership for the first time. With consumer confidence soaring once again, many people are preparing for the dream of owning a home and are planning to apply for an FHA mortgage in the coming year. The economic signs are pointing to strong economic growth, as the stock market is booming and the Federal Reserve is contemplating as many as three rate hikes next year. One of the very best home loan options for millions of home-owners is the “FHA mortgage” that are backed by the Federal Housing Administration. The FHA insures house loans that are provided by thousands of mortgage brokers, bankers and lenders across America. As a result, HUD-approved brokers and lenders offer many low interest home financing options with low down payment requirements on the FHA insured mortgage programs. Take a few minutes to determine today’s FHA-mortgage rates. FHA opens the door for many Americans to becoming homeowners with affordable home financing and mortgage opportunities. There are many FHA approved finance companies in all US states that have different criteria for granting loans. FHA sets certain rules, but the different lenders have the flexibility to set up their own criteria under those guidelines. Which FHA program that is best for you depends upon your financial situation, credit score and how expensive the home is you are applying for. Which FHA-approved lender is ‘best’ is hard to say as there are thousands of them. 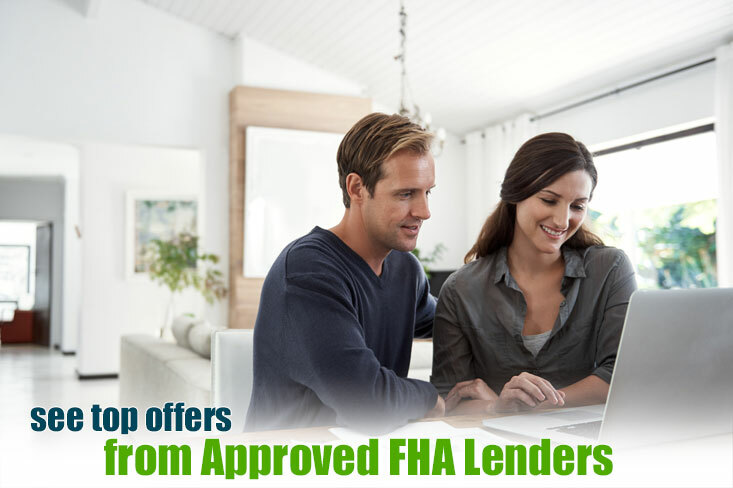 The best way to find a good one is to simply shop around with FHA lenders in your area. The FHA first-time home buyer option continues to be very popular in the Trump-era. Below are some of the criteria for being accepted for an FHA insured mortgage. After the mortgage crash, it was hard to get any type of mortgage loan without stellar credit above 740. Today, FHA requirements for refinancing are much lower – lower than for conventional loans, in fact. Did you know that you may be able to qualify for an FHA refinance with a low-credit score? You can. You may need to shop many different lenders to find one that will approve you, but it certainly is possible. Generally it is difficult to get a conventional mortgage with a credit score of 620. See the minimum score requirement for FHA. Current FHA policy allows sellers to pay as much as 6% of your closing costs. This is a huge benefit for FHA borrowers because many of them don’t have much left after they safe for the down payment. Did you know that a FHA house mortgage is assumable? This just means that if you want to sell your home, a qualified buyer can take over your FHA loan at your current rate. This is a big advantage when you are in a rising interest rate market. Many buyers will be shopping for a mortgage in a rising interest rate environment where the going rate could be one full point or more above your rate. FHA insured mortgages are one of the only products on the planet that allow borrowers qualify for an assumable FHA loan. Without a doubt, one of the biggest attractions of FHA insured mortgages is that you need as little as 3.5% down to buy a home. Some lenders may require you to put down more than that, but if you hunt around, you may need to put down as little as 3.5%, which is $7500 for a $200,000 home. Because FHA is guaranteeing the loan from default, mortgage lenders are able to offer more flexible lending criteria to home-buyers. For example, an FHA mortgage company can allow your debt to income ratio to be up to 31%. This means that your total loan payment is divided by your gross monthly income. Some lenders might allow this number to be even higher, if you have a larger down payment or a good credit score. Also, the ratio of your total debt to income, including your mortgage and all credit payments each month, can be up to 43%. This flexibility can be very attractive for people who have lost a job, or possibly have had their hours cut. If your foreclosure or bankruptcy was more than 2 year ago, many FHA lenders will overlook it. So it may be realistic to refinance out of a bad credit mortgage in an effort to get better terms and a lower interest rate. You can’t buy a condo with an FHA mortgage – not true. FHA does require the condo complex to be approved by FHA, but there are many of them across the US. FHA loans are always more costly – not always. You do have to pay mortgage insurance: an upfront payment that can be added to the loan, and also a monthly premium that usually amounts to $100-$150 per month. But remember that you are paying a lower rate than most conventional loans. The mortgage insurance also is tax deductible. In addition to potentially lower closing costs, the FHA loan rates remain attractive. FHA borrowers have bad credit – not always. The typical borrower has a credit score of 680 or so. 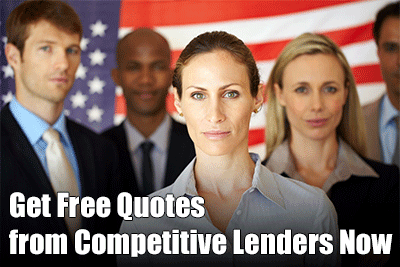 There are thousands of good, FHA home loan lenders in the United States. Even with a credit score in the low 600’s, you should be able to usually find a lender who will work with you most of the time. We usually recommend the FHA insured mortgage to people who want to put down less than 20%. The interest rate is usually lower than conventional rates, and putting down less money allows you to have more money available for renovating the home or other important things. Take a few minutes and get pre-approved for a FHA mortgage. Some of the restrictions have been eased in 2018, so you might meet the lending standards even if you were turned down in the past. As far as which lender to use, you just need to talk to a mortgage broker, bank or credit union to see what types of specific FHA programs they offer. Some of them may offer more flexible criteria than others. Which one is best for you will depend. But generally, the FHA product is a great fit for millions of borrowers. Shopping for government home loans is a prudent move, so talk to FHA mortgage lenders that have proven track records. If the home you are considering is within the FHA conforming limits, getting an FHA mortgage is a good idea for many people. After the subprime market crash, millions of people had damaged credit. They could no longer buy a home and may have had to rent for many years. Fortunately, the FHA mortgage program is available today and can help people with average or bad credit to buy their own home. To qualify for a conventional loan, you normally need at least a 680 credit score today. An FHA loan is much more forgiving. Borrowers may be able to qualify with a credit score of 580 and still pay only a 3.5% down payment. This is quite an amazing thing; people who have a 580 credit score often have had foreclosures or a bankruptcy. Still, they may be able to qualify for an FHA home mortgage. It is true that you have to wait at least a year and possibly two after foreclosure or a bankruptcy to get an FHA loan. But you still can get an FHA mortgage loan with a very low credit score. Being able to put only 3.5% down also is a major help to people who are recovering from the financial crisis. Many conventional loans require you to put down 10-20%. If you have a credit score that is below 600, you will need to search more to find an FHA approved lender who will work with you. Some FHA mortgage lenders will have what are called ‘overlays’ that set up higher requirements than the ones that FHA itself has. If your credit score is in the 620 to 640 range, you should be able to find quite a few lenders who will work with you. Another great thing about FHA mortgages is that the seller can pay part of your closing costs. Some sellers may be strongly motivated to sell and will be willing to pay some closing costs to get the house sold. It will certainly help you to have someone else pay the closing costs on your home! Last, FHA mortgage loans are assumable. This means that if you have an FHA loan on your home and sell it, the new buyer can assume the loan at your interest rate. This can make it easier to get the house sold; the new buyer must qualify for the loan, but this can really be a big help, especially in a rising interest rate market. FHA mortgage limits change every year, so you should check for you area what the current loan limit is, so you know how to shop for a home.